DROP EVERYTHING AND READ THIS. You NEED to Know About Honey G, MY SPIRIT GUIDE. There are very few things in life that bring me pleasure in a way that bad talent show auditions and trash TV do. Consider them my guilty pleasure. X Factor, Britain’s Got Talent, American Idol, Catfish, My Strange Addiction, Here Comes Honey Boo Boo – all of it. I. love. It. This season of X-Factor UK is no different. The greatest thing about it? Honey – freaking – G.
She is the epitome of perseverance, strength and self-confidence in the face of all adversity. She is a reminder that one should never give up if their heart and soul are invested in something. She is a reminder that there’s no harm in trying. Now, let me explain how the show works. People audition in front of four judges, and if they get three yeses, they’re put through to ‘boot camp’ in one of four categories – Boys, Girls, Over 25s and Groups. At the end of boot camp six performers go to ‘Judges’ houses’ where they are then whittled down three in each category who compete in live shows. Although Honey G drove Simon Cowell crazy at her audition, the other three judges put her through to boot camp. For all intents and purposes, it was one big joke and Honey G should have been sent home. At this point, if you’re wondering whether Honey G is real or not – you’re not alone. Even Simon couldn’t figure out whether she was genuinely the gangsta rapper that she claimed to be. But why does it even matter? She’s a genius either way. ANYWAY. At the six chair challenge (end of boot camp), Honey G was knocked out and sent home. It was a crushing moment for me because, in the words of Honey G, she was the ‘realest chick in the game.’ HELL YEAH. Although all hope was lost and I decided that I was done with X Factor for the year, sanity prevailed and Honey G was brought back for Judges’ Houses! There, she performed the only sensible thing she could perform – Gangsta’s Paradise. And it. Was. Amazing. You would think that this whole thing was going to come to an end and only ‘serious’ performers would be put through for the chance to win this year. BUT NO. HONEY G WAS PUT THROUGH TO THE LIVE SHOWS. SHE IS ACTUALLY GOING TO COMPETE TO WIN. And good God, do I hope that she wins. Honey G: Basically the reaction I had to the news that she was through to the live shows and COULD WIN THIS THING. Now, I don’t live in the UK and so I can’t vote for her. However, the sincerest wish from my heart right now is that the people of the UK will show the same judgement they did with Brexit and just keep voting for Honey G, week after week. If you’ve watched all of her videos, you should now feel a sense of peace and happiness; a sense of wellness that emanates from the depths of your soul. If not, there’s something wrong with you. She, as a 35 year old, not-gangsta gangsta, represents something that I think we should all strive for – the courage to do whatever it is that we need to do to be happy. Not on the terms of others, but on our own terms. Don’t get me wrong; I am well aware that the most likely reason that Honey G is being put through is not her talent. It’s the fact that the show’s producers knoooow that people will keep watching to see where this goes. She is someone who will bring in additional viewers. Although there has been an ‘uproar‘ and threats from people that they will boycott the show, it’s clear that Honey G will just bring in more viewers and media attention. That actually doesn’t matter. Nor does it matter that potentially more talented performers were sent home in order to allow Honey G to continue. So many of us spend so much of our time questioning ourselves over and over again, wondering if we would ever be good enough to achieve a particular goal. We talk ourselves out of actually ever trying because not trying is easier to manage than the crushing disappointment of failing. What we need to do is be more like Honey G. I highly doubt that she genuinely thought that she would make it as far as she did. Even if she was completely delusional and did think that she was the greatest rap artist known to man; she was ultimately knocked out after boot camp and sent home. But she was brought back! And that’s the point, I suppose. You never actually know what life is going to do or where things are going to go. There is absolutely no harm in putting yourself out there and pursuing a goal that you have, no matter how far-fetched it may be. Sure, it’s important that you pace yourself and know when to give something up. It’s important to be self-aware and know your limits. But if you want to do something with your life, don’t let the potential of not reaching that point stop you. For me, Honey G is the embodiment of the ‘just give it a go’ principle – that there’s no harm in trying. Thanks to her, I feel like my attitude towards the things I am currently working on has improved. It’s all G (hehehehe). I sincerely hope she wins. If she is able to use the system that is trying to treat her as a joke to actually reach her end goal, then she will go down in my history books as one of the greatest people alive. NOW. 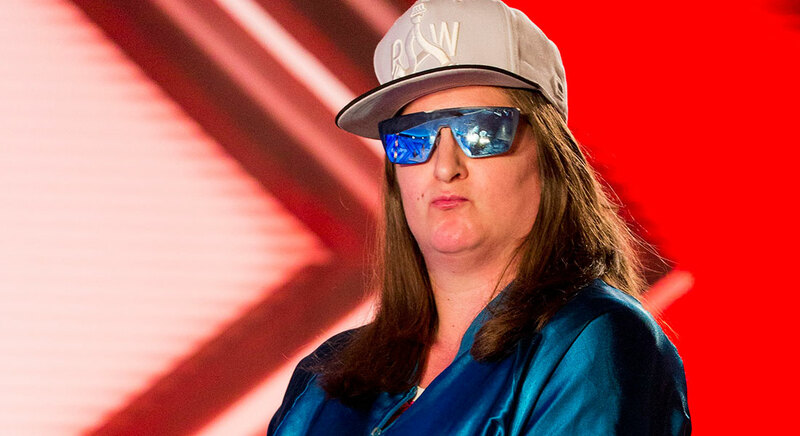 You should go and Tweet Honey G (@the_honey_g) and tell her that you think she’s great, that she has changed your life, and that you hope she wins. I will keep writing about her for as long as she’s on the show. I love her. Previous I Don’t Represent ‘Real Muslims’. There’s No Such Thing.